Schools have been in session for a month, but the laid-back air of the holidays seems to linger and the calendar of events shows no sign of easing up. 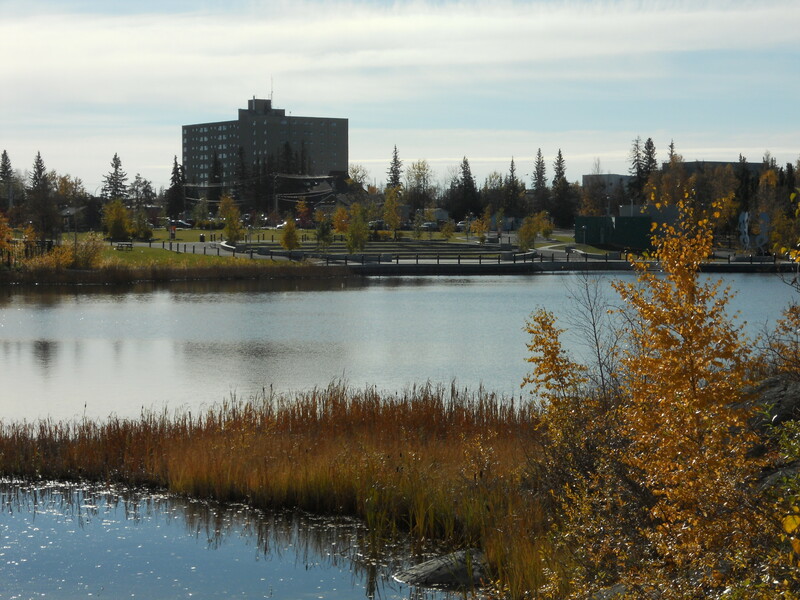 The Fall Harvest Fair, Arts Week, Literacy Week, and the Yellowknife International Film Festival are only some of the happenings for September. As is always the case, I couldn’t possibly attend them all. 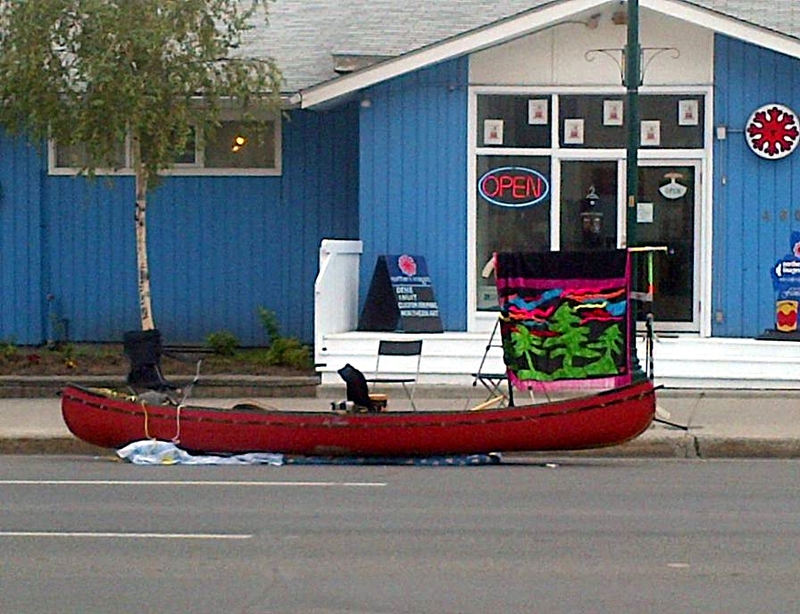 On the main street, there was a canoe parked outside one of the art galleries. 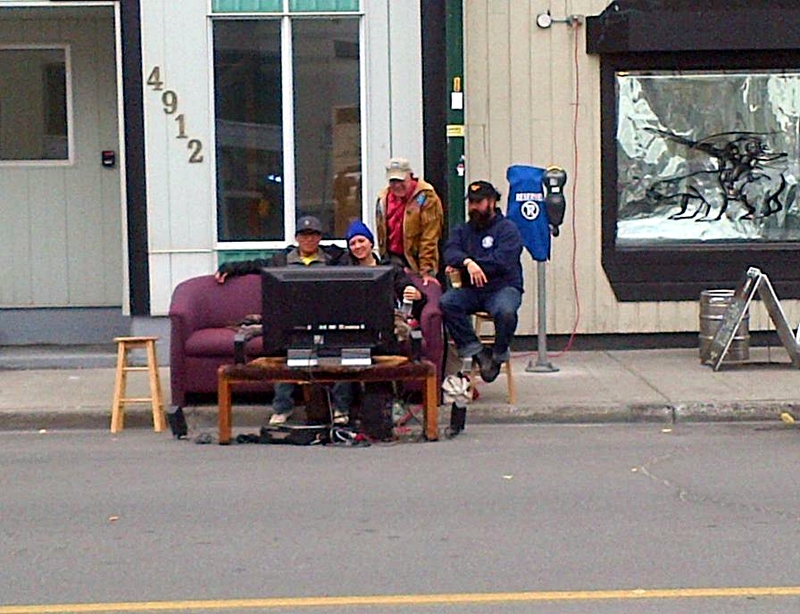 Just outside the pub, somebody decided to park a couch and a couple of stools on the sidewalk, plant a television in the street, and invite passers-by to stop and watch a movie. This was by far the wackiest use of a parking spot that I witnessed. 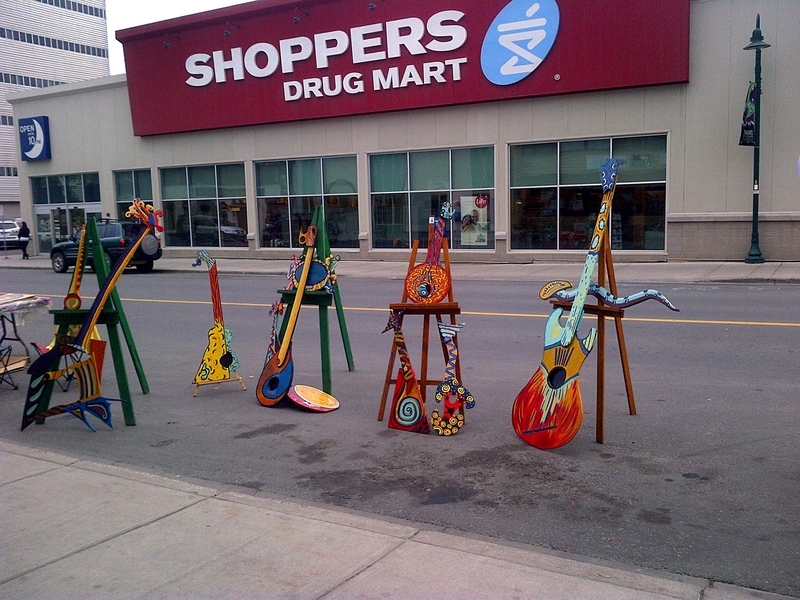 Opposite the drugstore, some gaily-painted guitars and other string instruments begged to be played. Literacy Week was much more staid by comparison. 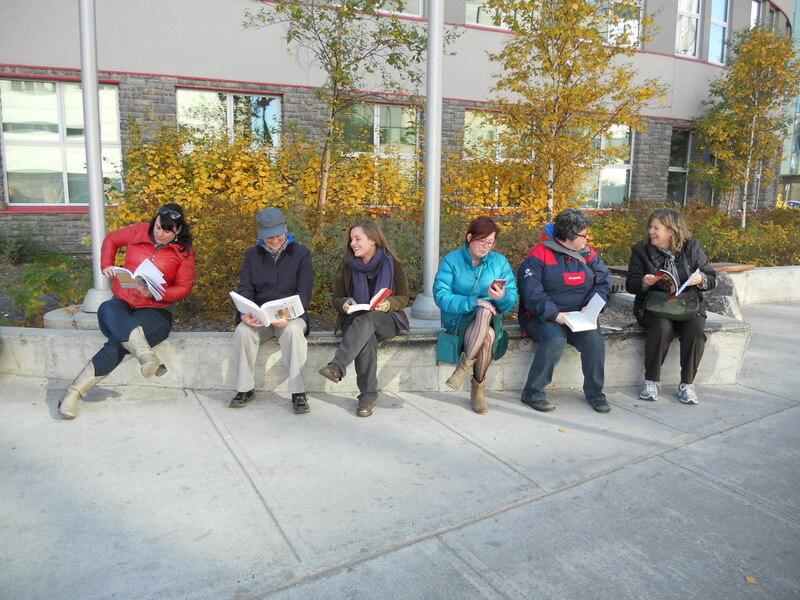 The Northwest Territories Literacy Council hosted a lunch-hour Read on the Street, an opportunity for people to get out of the office and sit outdoors and read. When I passed by, someone was filming while some ladies sat around reading and chatting. There was a brisk wind, so they had to be avid readers. Missing in action were the men who read. 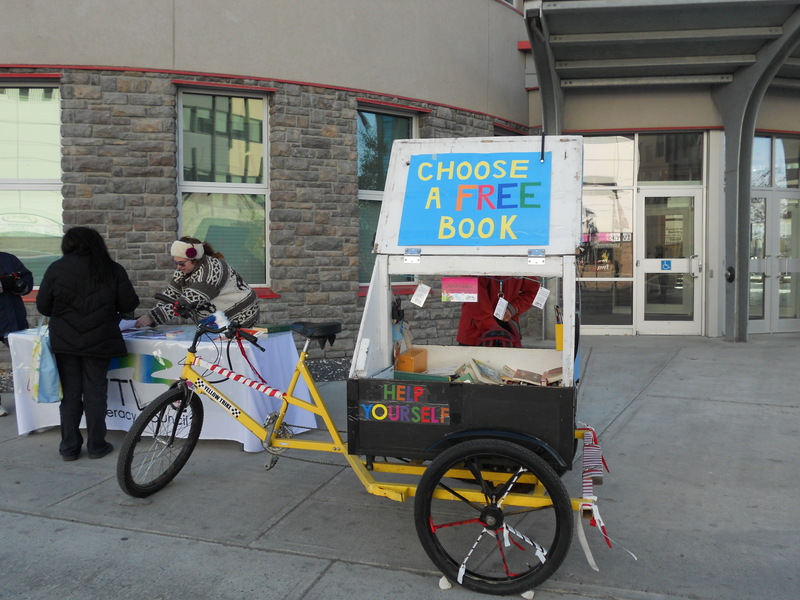 The yellow trike bookmobile attracted the attention of several pedestrians. Some stopped to rifle through the books, others merely threw quizzical looks and continued on their way. Speaking of yellow, that’s the colour that the trees are splashing out these days and some of them are already bare. A ride around town reveals a collection of picture postcard scenes. 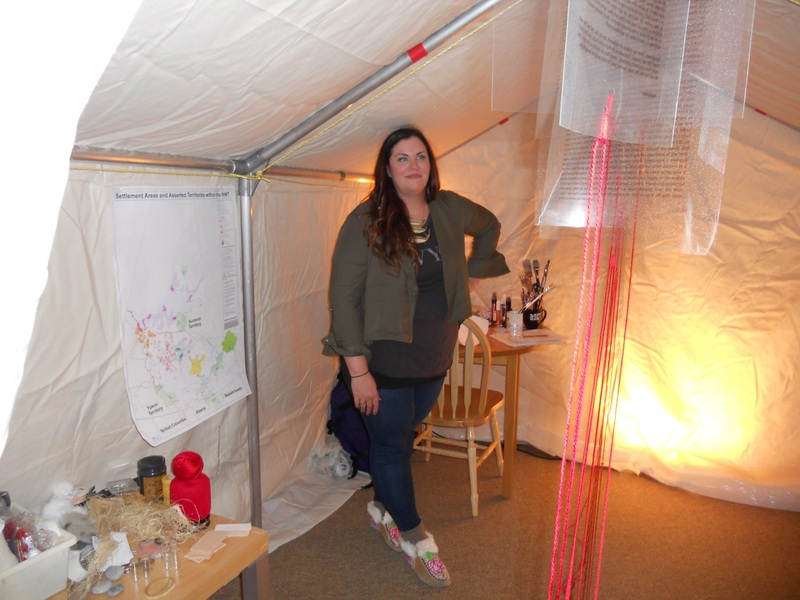 Arts Week offered an intriguing installation called “Stolons”, by Northwest Territories artist Courtney Chetwynd. She gathered stories from northern residents and translated them into pieces of art. 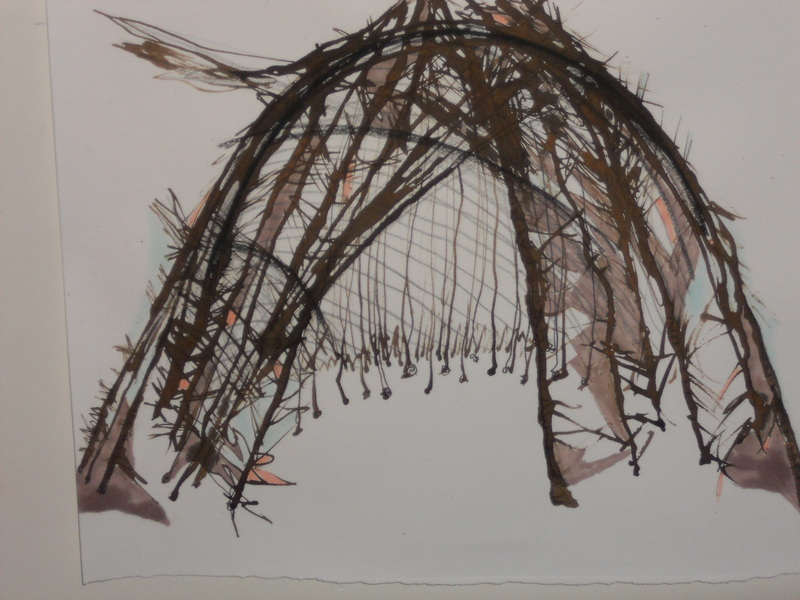 The stories were typed on transparent sheets, which she strung up inside a tent. She secured to them a length of red string. The strings from the various stories all ran outside the tent and became intertwined, to signify the common human connection. Like a shoot from a plant, the pices of art sprang up at the other end of the string. 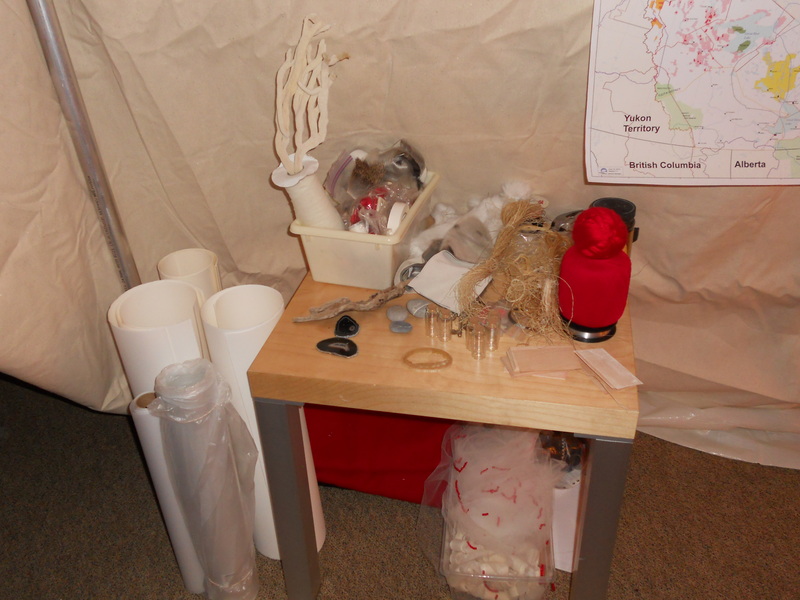 The installation was meant to be an exploration of identity and memory, and the materials she used in the art were items that she collected from various places she had visited, including coral, stones, and animal sinew. 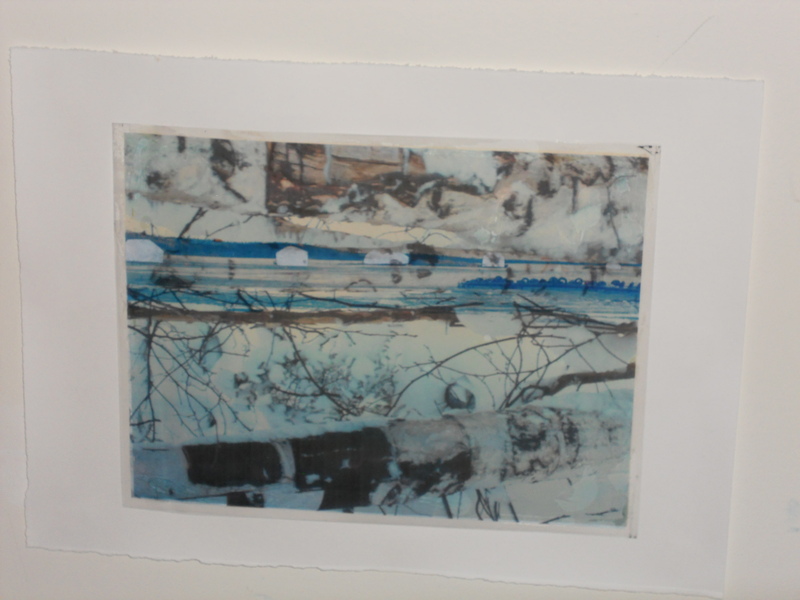 I didn’t return to see the finished work, but I didn’t feel deprived. 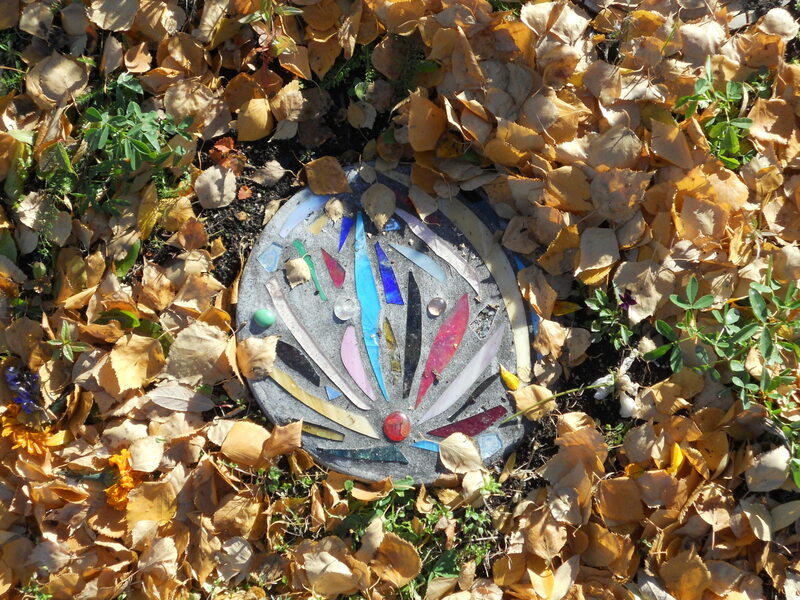 After all, there is art everywhere in this town, both indoors and out, made by humans and provided by nature.